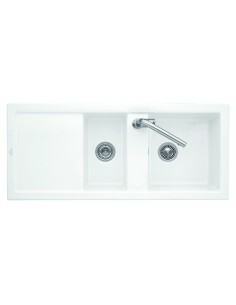 Kitchen Sinks 1.5 Bowl options. 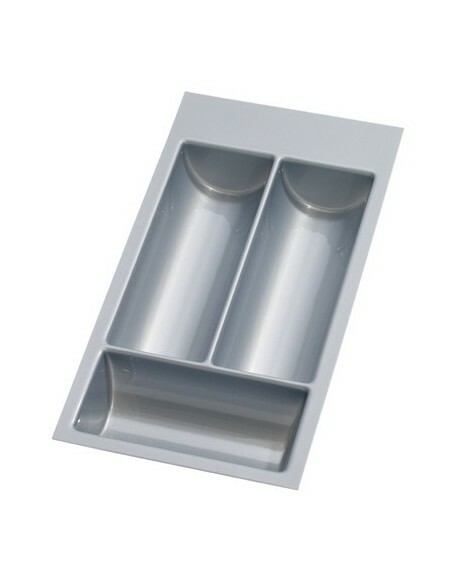 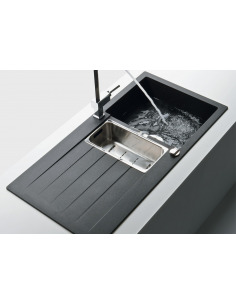 Ideal when the main bowl is in use as the second bowl can act as a storage facility or for disposing of tea slops and preparing vegetables. 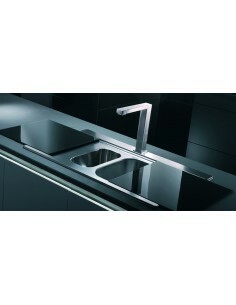 Available in stainless steel, ceramic, granite & synthetic materials. 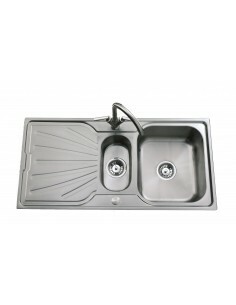 985 x 508mm Stainless Steel 1.5 Bowl Sink With Innovative Micro-sheen Technology. 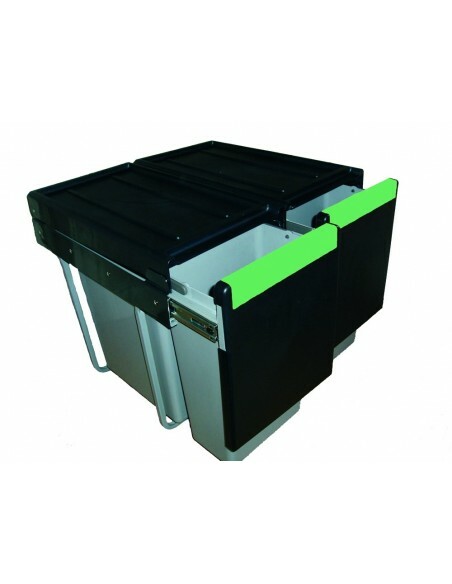 Concealed Overflow & Square Waste Profile. 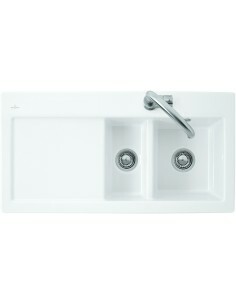 1010 X 510mm, Nevada Ceramic 1.5 Bowl Kitchen Sink. 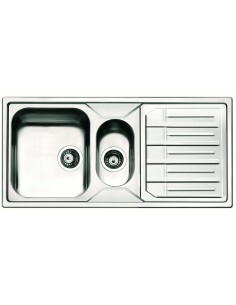 Glossy Finish, 10 Year warranty. 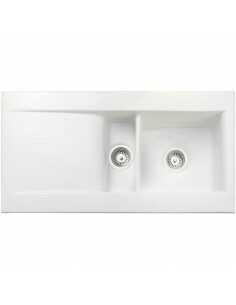 White colour choice. 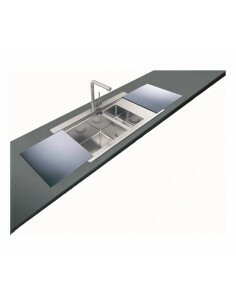 1000mm x 510mm, Square 1.5 Bowl Polished Stainless Steel Sink - Square 1.2mm Thick Quality 18/10 Graded Material. 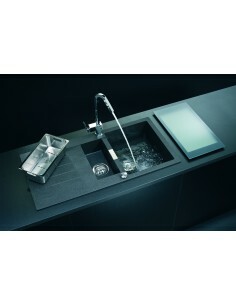 Modern Designer Look Kitchen Sink. 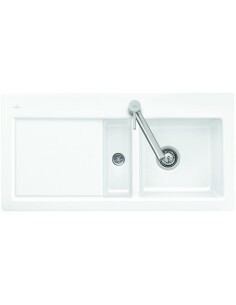 1010 x 500mm, 330400R1 V & B Flavia 60 1.5 Bowl & Drainer, White Alpin Ceramic. 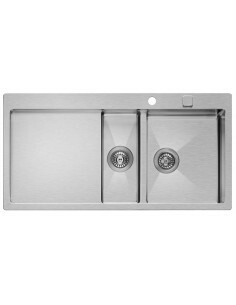 Topmount, Reversible. 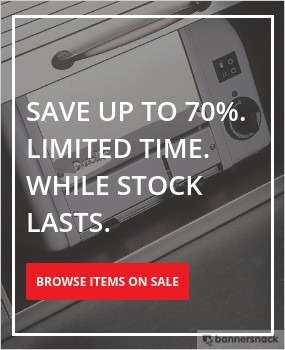 Price Lowered. 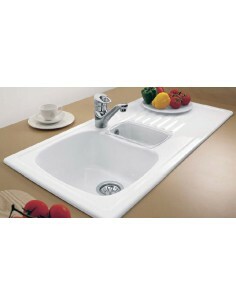 1000 x 510mm, Deep bowl @ 220mm 6720/21 Villeroy & Boch Subway 60XR 1.5 Bowl Kitchen Sink & Drainer, White Alpin Gloss Finish + Anti bacterial. 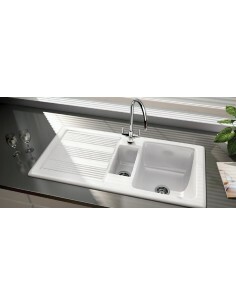 1160 x 510mm, Deep bowl @ 220mm 6726 Villeroy & Boch Subway 80 1.5 Bowl Kitchen Sink & Drainer, White Alpin Gloss Finish + Anti bacterial. 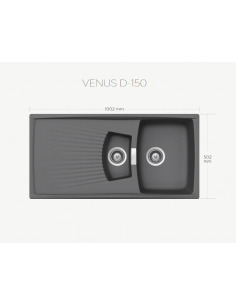 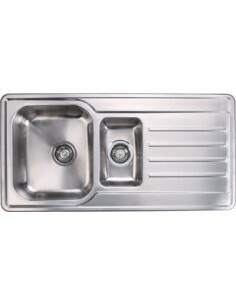 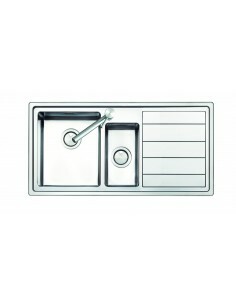 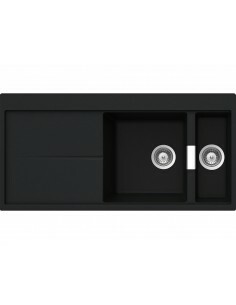 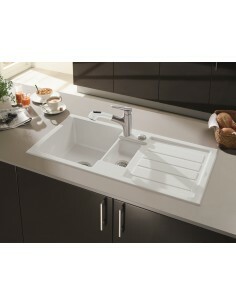 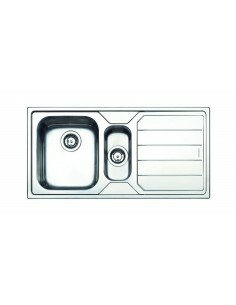 1000 x 520mm, Clearwater Xeron 100 Square Luxury Kitchen Sink.